I’ve played some recitals in great places since I last wrote. The first was in the church of St. John’s Downshire Hill as part of the Hampstead Arts Festival in London. It was totally inspiring to perform there, and the acoustics for the Art of Fugue were perfect. What a difference that makes to the overall feel of a performance! 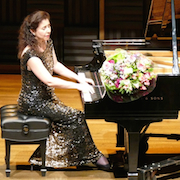 Then it was over to the Toronto area where I played a different programme (Bach, Beethoven, Scarlatti, Albeniz, Liszt) for the recital series in Aurora, Ontario. 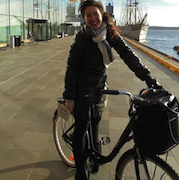 Then it was on to Norway – not to Oslo but rather Kristiansand in the south of the country on the sea. They have a beautiful-looking and beautiful-sounding concert hall there, Kilden, designed by Finnish architects. A nice discovery! And the Kristiansand Symphony played Mozart K482 very well under their music director, Giordano Bellincampi. We also did a “run-out” to Arendal further up the coastline. The rest of October was extremely busy. Almost constant travel. 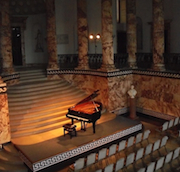 Upon my return to Europe, I played that great Scarlatti/Spanish programme (Albeniz, Granados, de Falla) in Nottingham, in Devon at the Two Moors Festival, at London’s Wigmore Hall, in Richmond, at Holkham Hall in Norfolk (a real highlight! ), and in Copenhagen. At Holkham, a grand Palladian mansion and estate in Norfolk, designed for the 1st Earl of Leicester, I had a butler to look after me. Now that was the life! …and I’m also on the cover of Gramophone magazine this month. BBC Music Magazine also has an interview done by James Naughtie. 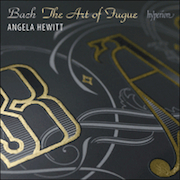 » Bach’s The Art of Fugue now out on Hyperion! It’s out! One of the CD recordings which means the most to me in my life (so far! ): Bach’s The Art of Fugue. It makes me very happy to share this great music with so many people around the world. It’s available on this website (and if you want it signed personally, I can do that before November 11th or after December 4th). It was a very moving few days. Three concerts of the joyous Concerto No. 22 in E-flat major, K482 by Mozart with conductor David Zinman and the National Symphony at the Kennedy Center in Washington. 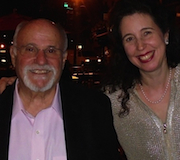 A very nice reunion with a conductor I respect highly and was so happy to work with again. He is a very natural conductor–letting the music speak without forcing anything, but always to great effect.